In this terrifying novel from the phenomenally successful Anne Rice, the illustrious vampire Lestat makes a Faustian pact with Devil. Satan has come to New Orleans with an enticing proposition. 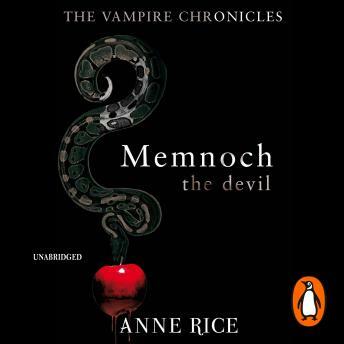 Under the name Memnoch this lord of darkness takes Lestat on a tour through the boundaries of space and time, offering an alternative and personalised account of the Bible, exploring the events which shaped our world. Their journey comes to an apocalyptic conclusion in hell, from which Lestat returns frail and broken. The experience has shattered his perceptions of the known Universe, but can you ever trust the Devil?